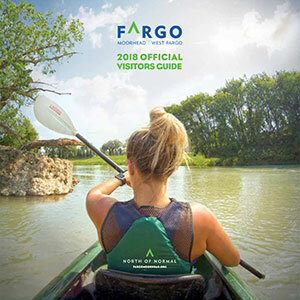 The official visitors guide is one of the best resources for visitor information on the Fargo-Moorhead-West Fargo area. The guide features beautiful photography along with information on all the things to do in the area. 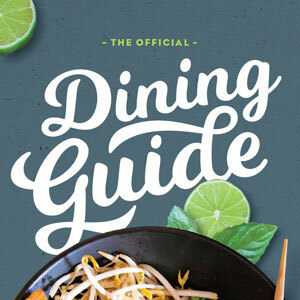 The official dining guide will help you plan all your foodie adventures in the Fargo-Moorhead area. This guide lists all the restaurants, coffee shops, etc. in the area and denotes the establishments that are unique to our region. 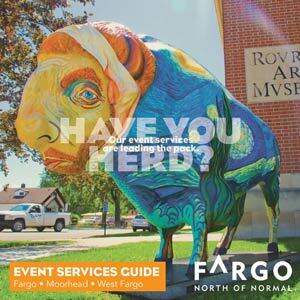 If you’re planning a conference or event in the Fargo-Moorhead area, the Meeting Planner guide will come in handy. This guide highlights the area’s large meeting venues and full-service hotels. In the guide, you’ll also find some information on the complimentary services we offer. 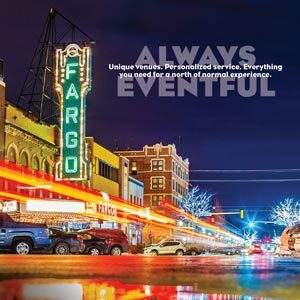 The Event Services Guide details the services the Fargo-Moorhead CVB offers for events being hosted in Fargo-Moorhead-West Fargo. If you need name badges, signage or assistance with on-site registration, check this guide to see how we can help. 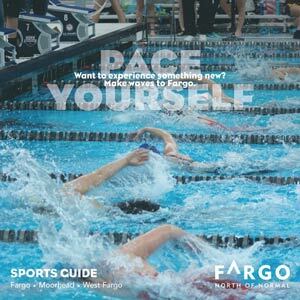 The Sports Guide is the sporting event planners’ guide to the Fargo-Moorhead area. This guide provides specs and details for several of the area’s venues and sports facilities. It also has information on the services the CVB provides for sports events.